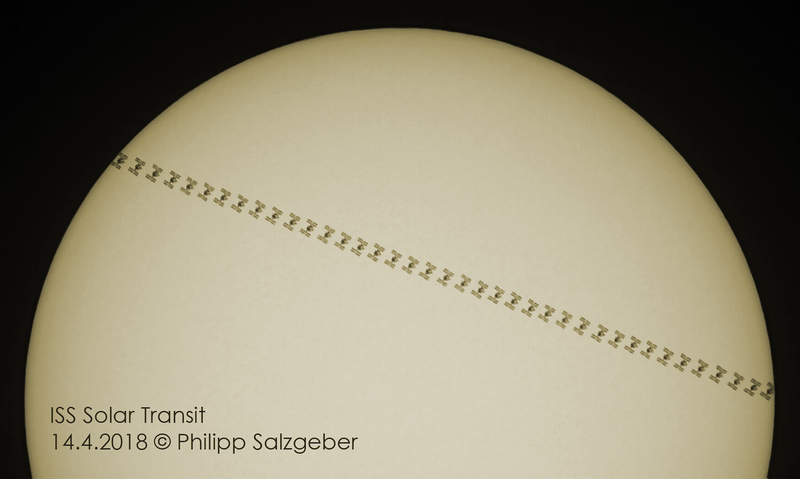 I used a 127mm refractor with a 2x teleconverter, shooting FullHD Video in DX crop mode on a Nikon D750. 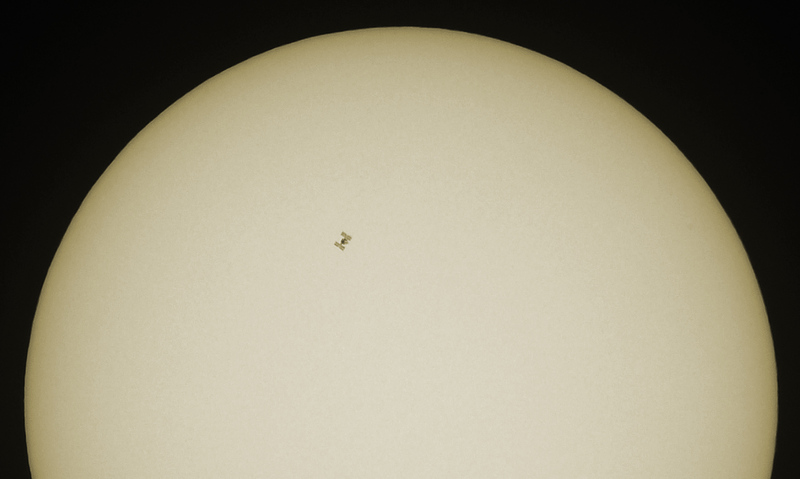 A single frame showing the silhouette of the ISS in front of the sun. 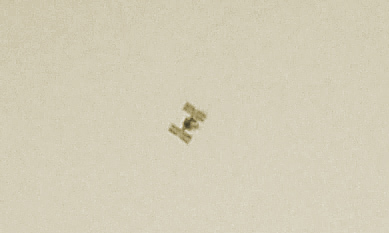 An enlarged crop showing the shape of the ISS.